When it comes to snow in March, it's not that uncommon in the D.C. area. But how about on March 21, when the region is supposed to have sprung into spring and cherry blossom blooms are on the horizon? 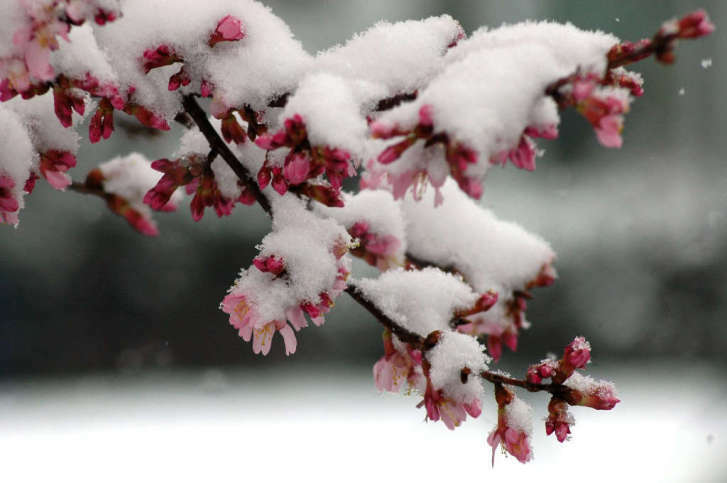 WASHINGTON — When it comes to snow in March, it’s not that uncommon in the D.C. area. But how about on March 21, when the region is supposed to have sprung into spring and cherry blossom blooms are on the horizon? It has snowed before on March 21 at least once, Storm Team4 meteorologist Matt Ritter said. It was on March 21, 1924 with a record 5.3 inches. This predates Reagan National Airport, so the total is for Washington, D.C., he said. Keep up with the National Weather Service’s preliminary snowfall totals here. According to Storm Team4 meteorologist Chuck Bell, the region has not seen snow on March 21 in the past 10 years. But March 2014 was a particularly snowy month, Bell added. For the snowiest date in March for D.C. and Reagan National, Ritter said remember March 29, 1942: 11.5 inches of snow coated the District. That storm also brought over 2 feet of snow in some parts of Maryland and northwestern Virginia, WTOP’s Dave Dildine said. WTOP’s Jack Pointer contributed to this report.